Want to take a family vacation but don’t want to break the bank? Booking sites galore promise to save you money on your vacation, but what about the costs after you’ve booked your hotel room or airfare. 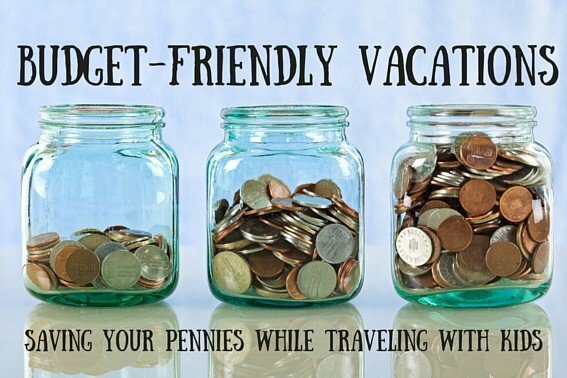 From staying close to home to packing meals, scoping out deals, and not paying for freebies, here are some of Trekaroo’s best tips for budget friendly family vacations. Note: While researching for this budget-travel article, my family had the pleasure of staying at an Extended Stay America near Griffith Park in Los Angeles to practice these budget tips. Thanks to the great location close to home, the hotel’s numerous free amenities, full kitchens in rooms, and other great family-travel perks, it was a great location to call as home base for a budget getaway. Pin this handy reference guide, and then explore the details on budget friendly family vacations below. Budget Friendly Family Vacations: How to save $5,000 on your next family vacation. Although there is something magical about whisking your family off to a far-off destination, airfare is not cheap. Even while searching for the best fares (I like to use kayak.com to find rates from all the discount providers– I also sign up for their price drop email alert if I have a specific destination in mind! ), the cost of of flying to your destination is definitely greater than if you drive or stay close to home. If budgeting, consider a close-to-home (100 miles or less) destination you’ve never experienced. Heading out for a family road trip? Check out our top 10 tips for saving money on the road. If you aren’t married to the idea of a hotel, consider alternative lodging instead. Great accommodation options for various types of families include campgrounds (typically the least expensive lodging type, although some gear & effort is typically required), vacation rentals (great for longer or multigenerational stays), home away swaps, and even family-friendly hostels. Often, you can stay at timeshare destinations for a great rate, even without making a huge investment, but you might be forced to sit through a lengthy (and sometimes manipulative) presentation. Tip: When calculating your lodging, don’t forget about taxes, which vary from region to region. They can add a significant price hike to your budget. Consumer Reports notes that taxes can go as high as 17% of your total bill in cities like Houston, Texas and Indianapolis, IN. This should be obvious, but if something is offered for free, don’t pay for it elsewhere. Hotels offer a wide variety of freebies, varying on location, brand, and time of year. Everything from breakfast (saving you an average of $5-$15/person in the morning), to internet (if your hotel doesn’t offer it free, stop by a Starbucks to upload your work files or post social media updates), to parking (stay out of a city center to avoid hefty nightly fees here), to family activities like crafts & s’mores (typically offered in summer and peak seasons), or even taking a break swimming in the hotel pool instead of participating in another daily activity, are things you really shouldn’t be paying for on your vacation. Don’t be surprised that middle-of-the-line, economy hotels typically offer more freebies than their luxury counterparts. Tip: Does your hotel have a pool? Swim in it. A jacuzzi or fitness center? Work it. Free breakfast? Eat up. Happy hour with cookies or cocktails? Be sure to snack during this time. Bringing your own beverages can save families a TON of money while on vacation, especially for families who are used to drinking soda or alcohol (talking to the parents on this one!). Pack an ice chest if your room doesn’t have a mini fridge and stock it with sodas or juice boxes to enjoy mid-day during your adventures. The tiny packets of flavors for water can also go a long way for tired kiddos (although I am not certain they are very healthy!). Parents should also skip the alcohol at meals (sorry), which is the highest markup of anything sold at a restaurant. Instead, pack a bottle of wine for your room to enjoy after the kiddos fall asleep. Even an expensive bottle of wine will run you the price of only 1-2 drinks in a restaurant. Don’t forget the bottle opener! Packing reusable water bottles (we love Camelbak!) not only saves the environment from trash and unnecessary waste, but it also saves you money not having to purchase expensive waters to keep hydrated throughout the day. Note: this is NOT true in many countries where the tap and local water is not recommended for traveler use. Check with your hotel concierge for tips on whether the local water is safe to consume. Take advantage of bargain sites like Groupon, Restaurant.com, Goldstar, and the like. Be sure to read the fine print, but you can typically save about 50% of your average cost by checking out what is currently under promotion on these sites. Discount tickets are also offered in bargain-friendly packages with sites like CityPASS where you’ll save a ton on A-List attractions by buying all your tickets in advance. From fabulous parent-adored parks with splash pads & giant play structures to libraries with activities and story-times, to museums and attractions that are offered free throughout the year, there isn’t a shortage of free opportunities for families in most cities. Even museums that aren’t free on a regular basis often offer free admission a few days a month; check their websites before booking tickets to see if your dates align. Depending on what type of hotel room you have, you can make a variety of meals in your room to save some serious cash for dining. Rooms with full kitchens (hurray!) can allow you to cook up every single meal if you want to. Some of them even do the dishes for you, making it feel less like at-home work and more like you have full time help. Hotel rooms with mini fridges & microwaves, or even coffee makers only, can still make meals. Budget-loving families swear by bringing along a rice-cooker or crock pot to make one-pot meals in their hotel rooms. A breakfast staple my family has enjoyed on many a trip is packets of oatmeal made with hot water from the coffee maker or water dispenser in the lobby; dry cereal or cereal bars also work well. Lunches are a cinch to pack and take with you throughout your traveling day: PB&Js, turkey sandwiches, fruit, and a fun snack item make for a nutritious and simple lunchtime picnic anywhere you go. If you do head out for meals, try to make your splurge meal a lunch-time event vs. dinner. Prices tend to be lower during lunch, crowds are smaller, kids are less tired, and you can always end your evening with a “backwards day” PB&J or tasty cereal that your kids will suddenly love because it is not part of the usual routine. Note: I used a variety of websites and statistics to make the money-saving calculations in this article, including the US Department of State’s Travel statistics, the US Department of Transportation, hotel booking statistics, consumer websites, and more. Although an attempt was made to duplicate actual costs and charges across the United States, all estimates are just that and shouldn’t be taken as prescriptive prices or rates. Disclosure: I received a complimentary stay at Extended Stay America Glendale for the purpose of researching this article. I was not required to state any particular view; all opinions remain my own.